WordPress, is largely taken as Blogging Platform, after that comes Portfolio Platform and others. WordPress has got so much of wordpress plugins to perform in depth tasks. There are many plugins to organize and manage events in wordpress. We are going to showcase those plugins right here. The ability of wordpress is increasing everyday as there is commercial integration of external plugins is increasing. This external support of wordpress plugins helps you create any kind of website with WordPress CMS. 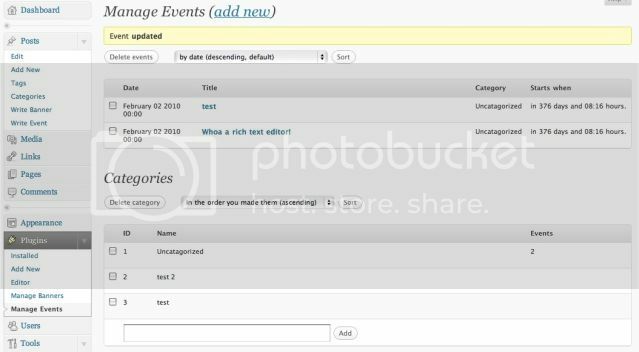 With these wordpress events plugins, you will be able to manage and organize your events right from your blog dashboard with most advanced features. Lets have a look at these wonderful plugins to integrate events with your wordpress blog. 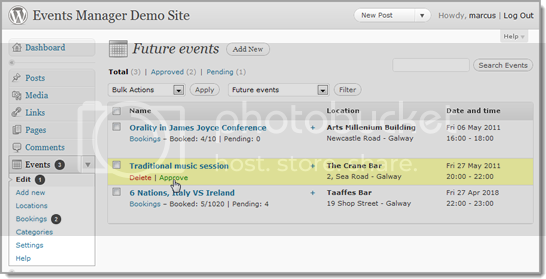 Create a list with events/appointments/concerts/future happenings and show them on your site. Includes optional widget and advanced page options. Fully featured event registration management including recurring events, locations management, calendar, Google map integration, booking management and much more. Manage and display events. Includes recurring events, locations, widgets, Google maps, RSVP, ICAL and RSS feeds, PAYPAL support. SEO compatible. 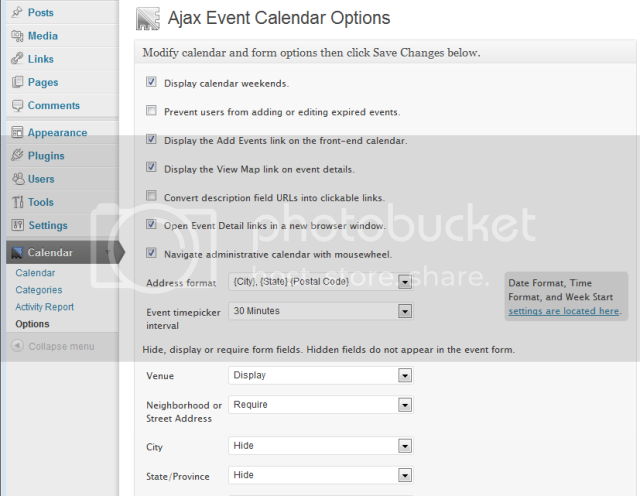 A drag-n-drop calendar that enables filtered views of community added events in custom categories. Create and maintain events, including complex reoccurring patterns, venue management (with Google maps), calendars and customizable event lists. That’s a good list. However, there are many others if you wanted to make your list more complete. Event Espresso, is another one that is easy to use and flexible. It’s also important to note that some of these plugins are just calendars and some do much more. I totally agree with you,there are much better plugins that are not on a list,and they are not just plain calendars.